Ideally located between Fifth and Sixth avenues Cassa Hotel NY 45th Street is in the center of Midtown Manhattan just a four-minute walk from the brilliant lights of Times Square. 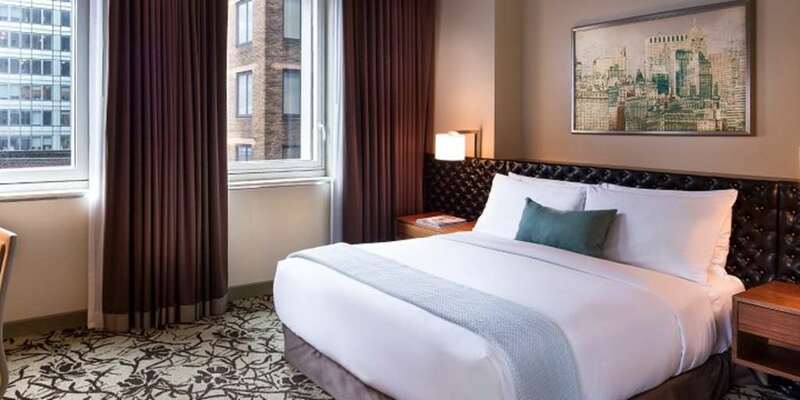 A boutique hotel bursting with character the Cassa offers easy access to world-famous New York attractions like Bryant Park Rockefeller Center and the shops of Madison Avenue. Located in Midtown Manhattan within walking distance of Times Square and Broadway Cassa Hotel NY 45th Street offers easy access to some of New Yorks most famous things to do. Valid credit card is required at time of booking to secure the reservation. Cassa Hotel NY 45th Street shares a building with Butter the acclaimed restaurant helmed by Food Network Star Alex Guarnaschelli. The hotels location in Midtown Manhattan offers proximity to dozens of restaurants.